Moments come and go. Days pass by, turning into weeks, then months, and then years. You and the life you lead are constantly changing. Nothing is permanent. It is beneficial to remind yourself of this as you confront adverse situations in your life when negative emotions can be overwhelming. You will experience grief as a result of the loss of a loved one. Perhaps you will gravitate into states of sadness, pain, and anguish over a breakup or a termination of a job. Maybe you will be the unfortunate victim of a crime or wrongdoing. I don’t bring these situations into your awareness to be morbid or morose. I mention them because there is no denying that you or someone close to you will experience impediments of well-being over which you have no control. If you are able to face these challenges with the understanding that none of these instances are permanent, then you are more likely to handle them and overcome them with aplomb. Just as negative occurrences are not permanent, neither are positive ones. Realizing this is important to constructing a balanced and contented perspective. Becoming aware of the undeniable impermanence of all situations can fuel your passion for relishing and savoring the wonderful events in your life. Rather than viewing these situations as what is supposed to happen, you can begin to see them as the precious gifts that they are. 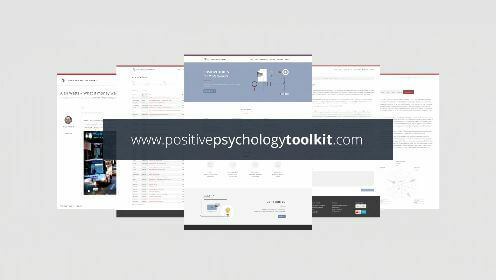 While clinical psychology has focused mainly on diagnosing and treating mental illness and diseases, positive psychology is concerned with cultivating positive well-being, not merely eliminating negative mental states. A 2006 study concentrated on how Buddhist tradition coupled with current Western ideals could be utilized to manifest desired mental balance. This desired balance is manifested in four different ways: Conative, Attentional, Cognitive, and Affective (Wallace & Shapiro, 2006). This desired mental balance is predicated on the idea of impermanence. Living with balanced mental states, founded in impermanence, counteracts the negative cycles of rumination that many people suffer from. There is a reason Buddhist ideals have made their way into mainstream Western culture: all people seek to live with a calm and relaxed mind. Much of the research in positive psychology demonstrates the belief that external factors don’t determine how happy you are going to be in life. Certainly they add to and compliment your overall contentment, but they aren’t authentically going to infuse your life with joy. Positive psychology rebukes the myth that happiness is dependent on external factors. Genuine happiness comes from within and it can be cultivated through mindfulness meditation and other activities, such as gratitude journaling, awe journaling, and focusing on the good, just to name a few. In difficult times people are often most unhappy because they lost some of the external things for which they have attachments. In some cases even just the threat of losing an external element is enough to raise negative emotions. Impermanence allows people to cope more easily with trying times. If you come to the conclusion that your life in general is not permanent and nor is anything in it — like your partner, children, job, physical capabilities, financial and social status — then you are more likely to react gracefully when something you perceive to be valuable is taken from you (LaBier, 2012). To sink the point deeper into your consciousness I will shortly revisit the idea of attachment. Attachment is the root of the problem and is usually the reason why impermanence is difficult to fathom for many people. Rationally accepting that everyone and everything is temporary is a refreshing thought because whether you want to believe it or not, it is true. It is also important to understand that grasping for the positive thoughts, emotions, and occurrences in life is not what positive psychologists wish to convey. If you accept the notion of impermanence but then attempt to “force” happiness and joy into every fiber of your being, you are missing the point. You have the capacity to enjoy your life completely as long as you understand that you can’t avoid the negative stuff, nor will any of your experiences last forever. Everything in your life, including you, has an expiration date. On the Meaning of Meaning: What Are We Really Looking For? This is very much in the philosophical teachings of Stoicism.I feel that stoicism should get the same research attention as mindfulness as it is in the western tradition and therefore culturally easier to understand for westerners. Thanks for this breath of fresh air Mike. Wow, did this article resonate with me. The ‘digital nomad’ life that I’ve been living last 6 months finds its roots in the impermanence you describe. Traveling around with as few material possessions as possible makes it very clear that everything is fleeting and that you are only a temporary owner of everything you think you ‘have’ in life. More importantly, what it taught me is that that impermanence can become a source of happiness, instead of anxiety it usually invokes. You are appreciating everything and everyone in real time, not for their endurance, for their always being there for you, but for their sheer being in that moment.